In early May 2016, the Railroad Retirement Board (“RRB”) published an interim rule, which imposed significant increases to the per claim penalties the RRB imposes under the False Claims Act (“FCA”) and the Program Fraud Civil Remedies Act (“PFCRA”). The increases announced by the BRB’s interim final rule nearly doubled the former FCA penalties issued by the RRB. In the time since the RRB announced its interim rule, there has been speculation that the Department of Justice (“DOJ”) would make a similar pronouncement regarding its FCA penalties. That speculation has now been confirmed. On June 29, 2016, the DOJ published its own interim final rule, which mirror the increases to FCA penalties announced by the RRB. Previously, FCA penalties ranged from a minimum of $5,500 to a maximum of $11,000. However, under the newly published interim final rule, FCA penalties have been increased to a minimum of $10,781 to a maximum of $21,563. The newly imposed FCA penalties will be assessed after August 1, 2016, and will be applied to violations occurring after November 2, 2015. Thus, any FCA violations occurring on or before November 2, 2015 and/or and FCA penalties assessed before August 1, 2016 for violations occurring after November 2, 2015 will be subject to the previous FCA penalty amounts. As noted, the FCA penalties imposed by the DOJ are the same as those announced by the RRB back in May. The RRB’s interim rule came about as the result of the Bipartisan Budget of 2015, more commonly referred to as the Federal Civil Penalties Inflation Adjustment Act Improvements Act of 2015. The 2015 Adjustment Act requires federal agencies to update the civil monetary penalties within their jurisdiction by August 1, 2016. The 2015 Adjustment Act amended the Federal Civil Penalties Inflation Adjustment Act of 1990, which had previously been incorporated into the FCA. The new amendments called for a “catch-up” adjustment. The “catch-up” adjustment requires that the civil monetary penalties within the jurisdiction of the various federal agencies be adjusted based on the difference between the Consumer Price Index of the calendar year in which they were established and the consumer price index in place in October 2015. Or, in other words, the “catch-up” adjustment is meant to adjust the civil monetary penalties for inflation. How Did DOJ Decide to Double FCA Penalties? So just how did the RRB and the DOJ formulate their increased FCA penalties? By way of background, the DOJ last increased its FCA penalties in August 1999. At that time, the DOJ increased the minimum penalty from $5,000 to $5,500, and increased the maximum penalty from $10,000 to $11,000. The DOJ’s increase in the minimum and maximum FCA penalties was in line with the maximum ten percent increase provided for in the 1996 Debt Collection Improvement Act, which was subsequently repealed by the 2015 Adjustment Act. Because the 1996 Debt Collection Improvement Act and its requisite maximum ten percent increase have been repealed, the RRB was free to ignore the ten percent rule in setting its new FCA penalties. As a result, RRB applied a more than 215% Consumer Price Index increase between 1986 (when civil penalties were set at a minimum of $5,000 and a maximum of $10,000) and 2015. That 215% increase resulted in RRB setting its FCA penalties at: a minimum per-claim penalty of $10,781 ($5,000 x 2.15628) and a maximum per-claim penalty of $21,563 ($10,000 x 2.15628). The DOJ’s newly imposed FCA penalties mirror those imposed by the RRB. The significant increases imposed by the RRB and the DOJ came despite the fact that Congress gave the various federal agencies discretion to issue lesser FCA penalty amounts if the head of the agency determined that the increase would have “a negative economic impact,” of if the “social costs” of the increase outweighed the benefits. If an agency head chose to implement a lesser penalty, then the Director of the Office of Management and Budget has to concur with the agency head’s decision. The DOJ did not seek to impose any lesser penalties than those proscribed by Congress, whether it relates to FCA claims or the several other civil monetary penalties the DOJ is authorized to assess. The DOJ has announced that it is providing a 60-day period for public comment on its Interim Final Rule. What Impact Will Increases Have on FCA Litigation? So what potential impact will the increases in the minimum and maximum FCA penalties established by the DOJ have on FCA litigation? Generally, FCA lawsuits focus on the ability to obtain treble damages as promulgated by the statute. However, under the civil penalties portion of the FCA, all civil penalties are mandatory if a defendant is found liable at trial. This means that those civil penalties must be assessed even if there is no finding of damage. As a result, in cases where damages are non-existent or are difficult to prove, the DOJ and/or qui tam relators may opt to seek only civil penalties in lieu of seeking damages. Furthermore, because the DOJ imposes liability for each false claim submitted to the government, federal contractors accused of “volume” FCA claims stand at a distinct disadvantage in cases where they stand accused of numerous FCA claims, even if there is no proof of damage. Federal contractors involved in “volume-based industries” such as shipping, healthcare, medical devices, IT, and routine commodities will need to pay particular attention to the newly published FCA penalties by the DOJ. In cases involving “volume-based industries,” there is the chance, especially in light of the substantial increases in FCA penalties, that the civil penalties will outpace any claimed damaging resulting from the FCA violations. As a corollary, the substantial increases in FCA penalties announced by the DOJ will also have an impact on the relators (whistleblowers) bringing qui tam suits under the FCA. Under the FCA, a relator is entitled to receive between 15 and 25 percent of the amount recovered by the DOJ through the qui tam action. However, if the DOJ does not intervene in the action, then the relator may obtain between 25 and 30 percent of the total recovered. With the new increases in the FCA penalties announced by the DOJ, future relators stand to benefit significantly. By way of example, under the former FCA penalties established by the DOJ, if a defendant was found liable for 10 FCA violations at the maximum $10,000 fine amount, then the relator could receive anywhere from 15 to 30 percent of that amount, or $15,000 (.15 x $100,000) or $30,000 (.30 x $100,000), respectively. 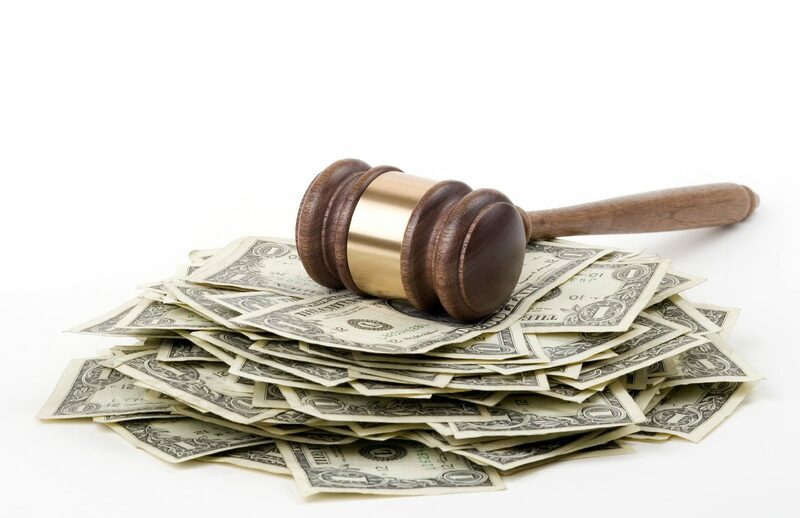 Under the newly published FCA penalties, that same defendant would be liable to pay $215,630 in penalties, meaning that the relator would now be able to recover anywhere from approximately $32,344 (15%) to $64,689 (30%). Simply put, the newly established FCA penalties by the DOJ stand to double a relator’s recovery, even if no damage can be proven. If you or someone you know has information regarding potential FCA violations, please contact our whistleblower attorney team today for a consultation. Given the DOJ’s recent pronouncement, you may be entitled to recover more from a qui tam lawsuit than you would have previously. Our whistleblower attorney team can be reached via email at kporter@chrisjen.com, or by phone at 801-323-5000, or through our contact form.